Sarah and Louise are members of GoodGym Lewisham and first met when they were working together at Deaf Child Worldwide, which is the international arm of National Deaf Children's Society. They both got involved in GoodGym during the summer of 2018. Sarah loved the idea of combining running with volunteering and making the commitment to do something as a team. She enticed Louise to join her and become part of the Lewisham GoodGym group. Sarah learned British Sign Language (BSL) at work, where she received training and now has a BSL level 2 qualification. Louise, who is deaf, gave Sarah a lot of support to help her pass her exams and always makes sure she is improving. Having someone know some BSL is really important. Sarah and Louise, furthest away from the camera. Sarah loves to cook and experiment with new recipes. They equally both love to travel and are able to travel a lot for work, although according to Sarah not always to very glamorous locations. However, Louise is currently backpacking around Asia and adapting to her new surroundings which are a bit different to Lewisham! 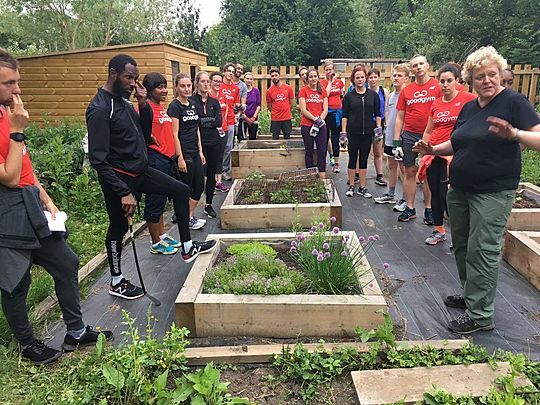 When asked what their favourite GoodGym task was Sarah recalled the time she discovered the Wild Cat Wilderness in Lewisham on a beautiful summer's evening. She says "It's an amazing place in a new area I never knew about. I love finding out about all the great community initiatives going on in Lewisham, it makes me feel much more connected to where I live". Wildcat Wilderness is a regular task for GoodGym Lewisham and the group are vital to the upkeep of the space for the local community who use it. Discovering new places where you live is one of the great things about GoodGym. 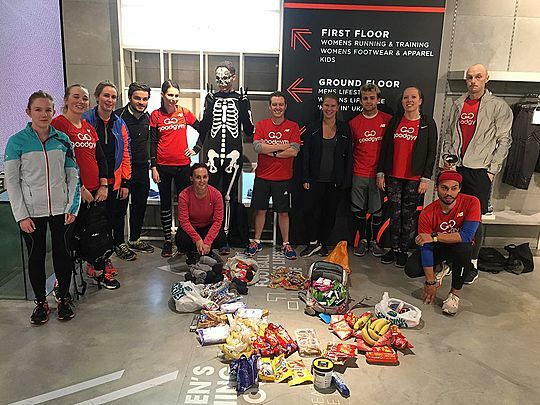 Louises’ GoodGym highlight was with the Westminster group where they ran around the city giving food to the homeless. Originally Louise was only prepared to do 6km, but run 8-10km due to feeling the direct feel good impact from the task. 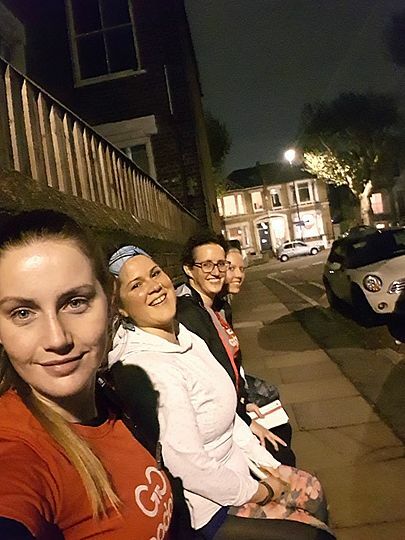 Louise recently gained her Scout badge, meaning that she has visted five different GoodGym areas, which is no surprise as her favourite thing about GoodGym is the fact that there are 24 GoodGym groups around London, which she can explore. Louise has found that almost every group that she has participated in has had at least one person able to sign or gesture. One of Louise's biggest challenge is communication meaning she always prefers to go to GoodGym with someone who can sign. Therefore, Louise always takes another signer peer to a group run to help communicate the route and task and also so other GoodGym runners can see that she can't hear. Louise makes good use of street lights and a headtorch in the winter months as it can get difficult to lip read or see the signs in the darkness. Sometimes people don't feel confident to communicate with someone who is using sign language, and therefore don't communicate at all. What is so important is having a go, communicating through gesture is a great start - so don't be shy! So if you ever see Louise on a GoodGym run or someone with a hearing loss, here are some top tips on communicating.